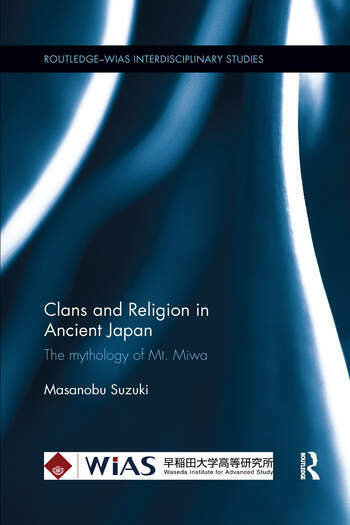 Clans and Religion in Ancient Japan presents the latest research on the origin of Japanese religion and the clans in charge of religious services in ancient Japan. This book is written from a new analytical perspective and it utilizes not only well-known historical manuscripts which previous research relies upon, but also mythology, archaeological antiquities, pictorial materials and genealogies. The book hopes to differentiate between the religious systems of Japan and those of other Asian countries, and also between eastern and western cultures. Although different and unique, the book aims to show how Japan plays a part in the global environment and captures attention by answering questions from a historical perspective such as "What is Japan?" and "How should Japan relate to the world?". Masanobu Suzuki is Senior Analyst for Textbooks at the Elementary and Secondary Education Bureau at the Ministry of Education, Culture, Sports, Science and Technology, Japan. He was formerly Associate Professor at Waseda University, Japan and has taught ancient Japanese history in many universities since 2008. He received his PhD in Literature at Waseda University in 2012.